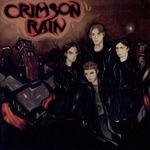 Sign up for Broadjam today to follow Crimson Rain, and be notified when they upload new stuff or update their news! Eight song EP released in early 2001, independently, when band members were 17 years of age. Produced by Mike Ferona. Recorded at Neon Cactus Studios in Akron, OH. Tracklist is as follows: 1.) Ride 2.) Shake It Up 3.) Free Fall 4.) Some How Some Way 5.) Shine On 6.) Stay With Me 7.) When All You Want Is Everything 8.) Looking Back To this date (August 2003), the EP has sold around 700 copies. Since it's release, the band lineup has had minor changes, with a new drummer and bassist. Since this release, CR's overall sound has lightened a bit, swaying from the 80's rock style presented on this album, to a mix of pop/rock and authentic rock and roll. 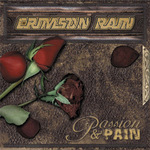 Check out CR's latest album, "Passion & Pain" to get a better idea of how Crimson Rain's sound has evolved since this first release. All songs Copyright 1999, Crimson Rain. All Rights Reserved. hard to see your face. times we spent w/ each other. loving you since youve been gone. it's getting harder to believe.